The law struggles to keep pace with technology. Cyberspace has expanded the “workplace” beyond the physical confines of an office building and the traditional eight-hour workday (overtime concerns are the subject for a future blog post). At minimum, employers should create, update and distribute to employees its privacy rules and policies – typically in an employee handbook with a signed acknowledgment of receipt – that reduce the expectation of privacy in the workplace. Employees should be informed through company policies that desks, files, vehicles and even lockers provided by the employer may be subject to search. The privacy rules and policies should also extend to digital property (data) contained in and transmitted through equipment and devices the employer provides that can be used both onsite and offsite such as laptops, smart phones, email accounts. Create an employee handbook that specifically states the company’s privacy and social media polices. Reference and incorporate general policies and guidelines for employee communications transmitted by email, text or voice through internet or social media. Prohibit employees from creating conflicts of interest, revealing trade secrets and other specified conduct that is detrimental to the company’s legitimate business interests. Inform employees they will be held to the same standards and code of conduct whether they are off-duty or on-duty. 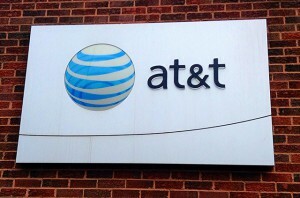 On March 30, 2015, AT&T offered its “GigaPower” service to Cupertino, California. It is currently offered in a handful of cities across the United States (Austin, Dallas, Fort Worth, Kansas, Raleigh-Durham, and Winston-Salem) with ten other planned metro areas. GigaPower is promoted as Internet service with “[b]lazing-fast speeds up to 1Gbps,” allowing the user to download twenty-five songs in one second, an HD television show in three seconds, and an HD movie in thirty-six seconds. This comes on the heels of the recent battle over net neutrality which resulted in the Federal Communications Commission’s February 26, 2015 adoption of “Open Internet” rules. These rules seek to “protect and maintain open, uninhibited access to legal online content without broadband Internet access providers being allowed to block, impair, or establish fast/slow lanes to lawful content.” Given that the federal government has determined that service providers cannot charge web users or websites for entry onto an Internet superhighway “fast” lane, it is unlikely that AT&T will be the only Internet service provider to start charging to maintain its customers’ privacy. Our Privacy & Data Security Group will continue to monitor the implications of AT&T’s recent offering in this regard. We’ve all seen it make the rounds on our Facebook newsfeeds: the post that declares something along the lines of “my rights are attached to all my personal data drawings, paintings, photos, video, texts, etc.” Its reappearance around the end of 2014 was likely due to a notice sent by Facebook regarding changes in their policies, which took effect on January 1, 2015. In the United States, this message does not have the power to unilaterally waive the privacy terms to which each user agrees upon opening a Facebook account. For example, the new terms state that subject to a user’s privacy and application settings, “[f]or content . . . like photos and videos (IP content), . . . you grant us a non-exclusive, transferable, sub-licensable, royalty-free, worldwide license to use any IP content that you post on or in connection with Facebook.” The only way to terminate Facebook’s license is to delete your IP content or delete your account, but if you have shared that content with other users that have not deleted it, Facebook still maintains a license on it. The terms “do not properly acknowledge” the fact that users cannot prevent Facebook from using their information gained from outside their network (i.e., if you have shared that content with other users that have not deleted it, Facebook may still use it). Perhaps the necessitation of making these changes to comply with European Union laws will trickle into Facebook’s privacy policies for the U.S., but it is always wise to be wary of what you post and to periodically review social media privacy policies. Business Insider and many others are reporting that hackers have acquired nearly 7 million account usernames and passwords. News coverage of the recent breach of Dropbox account security reveals that hackers have provided a “teaser” of 400 accounts and associated passwords on pastebin.com, which as of this writing shows that there have been more than 171,976 views. Dropbox has explained that its services are fully encrypted, and denies responsibility for the leak of emails and passwords, pointing to third-party services that exposed the credentials. 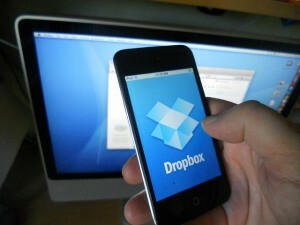 Dropbox also claims that all of the passwords that were hacked are expired. Dropbox, for its part, encourages users to enable two-step verification, which should harden account security. In fact, the nice folks at Business Insider prepared a slideshow to assist in how to implement two-step verification security here. Professionals who use cloud servers to provide medical, legal and financial services should understand that doing so may be at their own risk, as a cloud server provider or host may not provide indemnification or other recourse in the event of privacy and data breaches. Be sure to carefully read server or cloud provider contracts to assess the scope of any limitation of liability (typically a monetary limit and consequential damages disclaimer) that may be inadequate for a customer’s potential losses in the wake of a breach or other unauthorized disclosure of information. As with all gathering, storage and use of personal and confidential information, there must be safeguards and risk assessment at each level to avoid being hit with the full liability of a data breach.